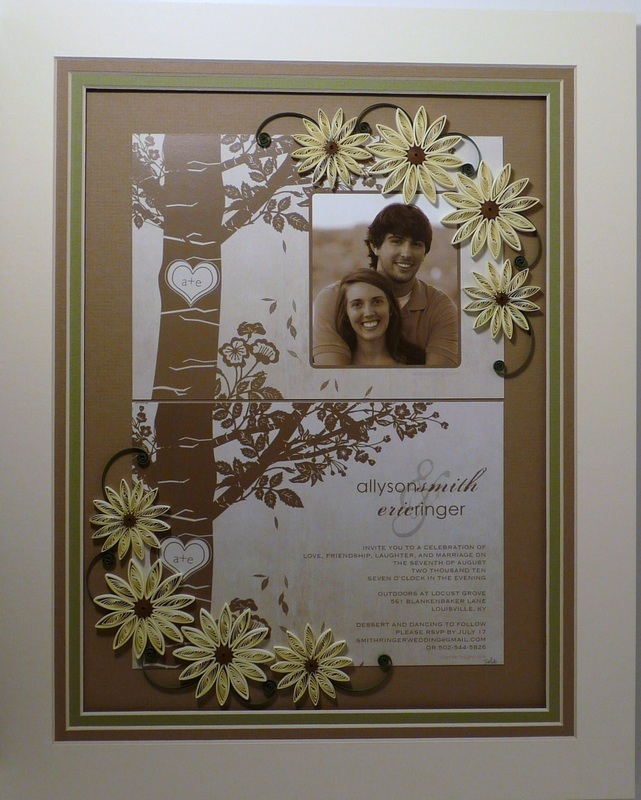 This quilled wedding invitation and photo keepsake combines the original invitation with the wedding photo, or any candid photo that you like. 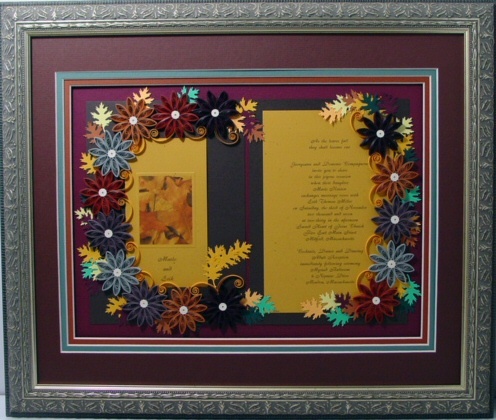 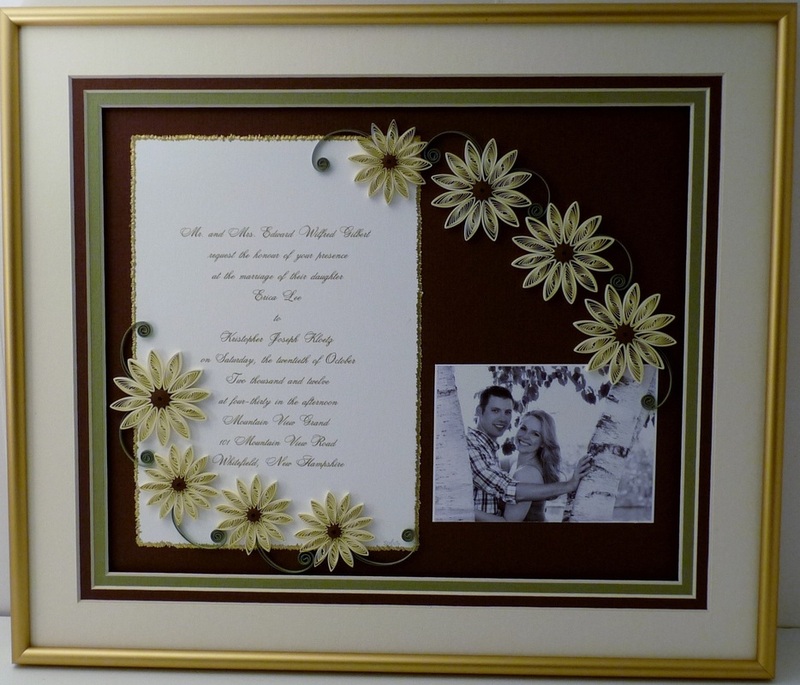 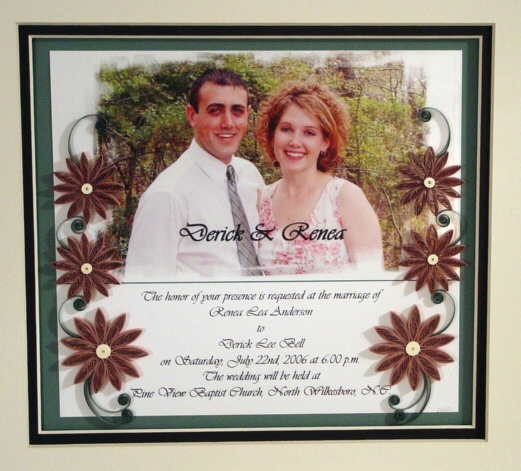 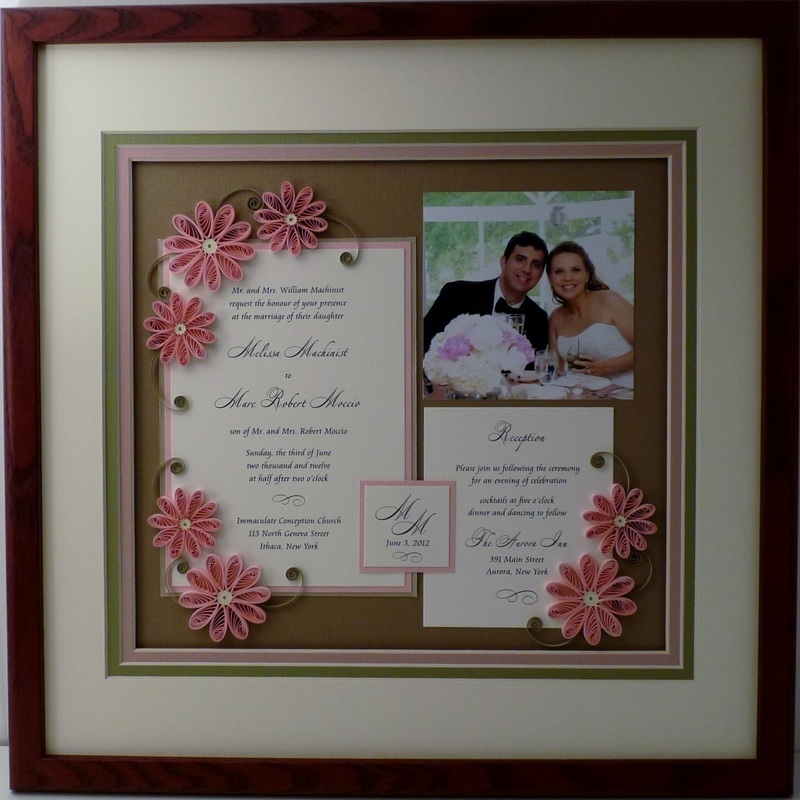 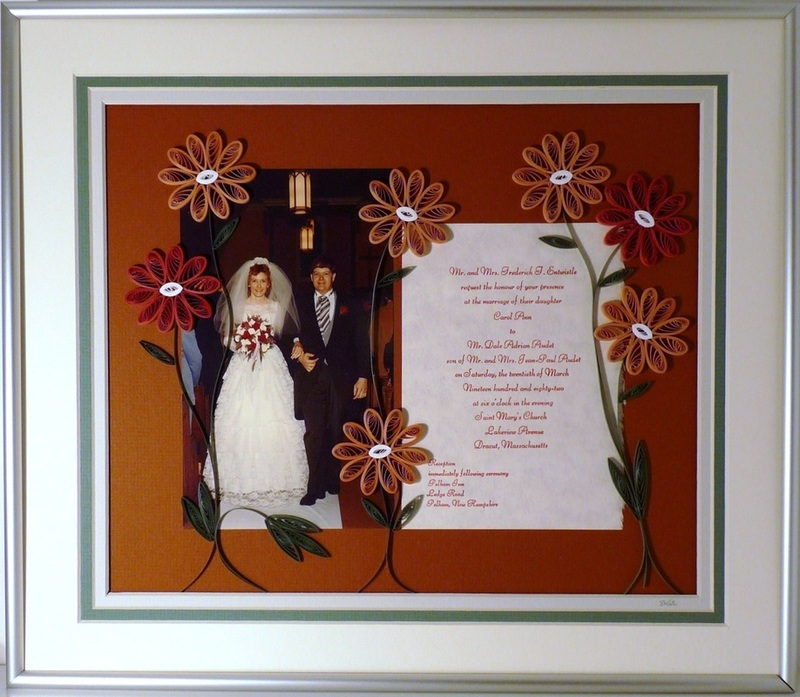 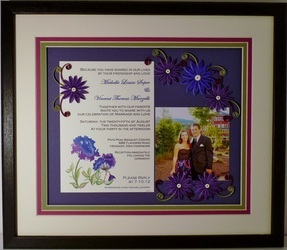 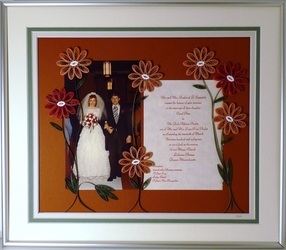 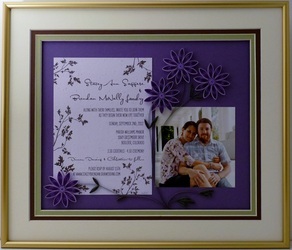 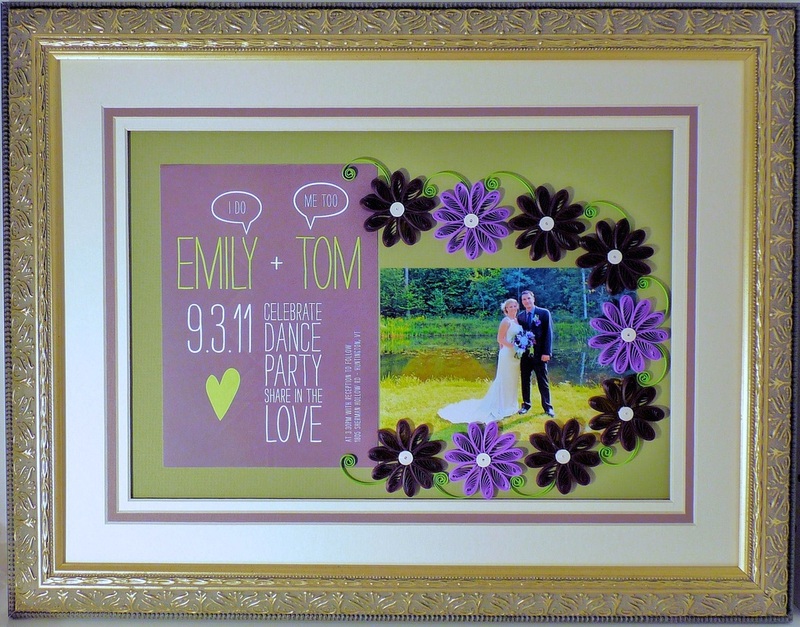 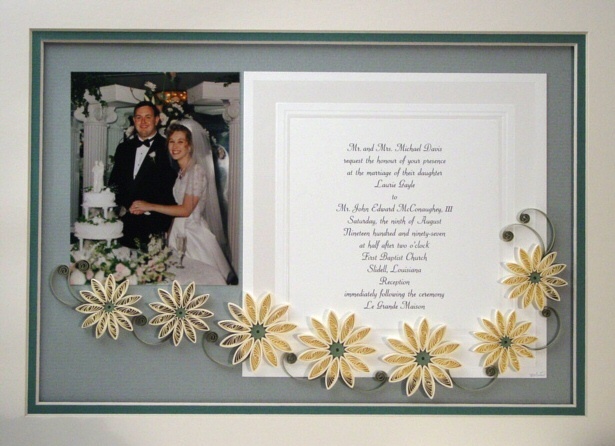 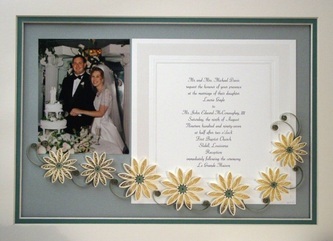 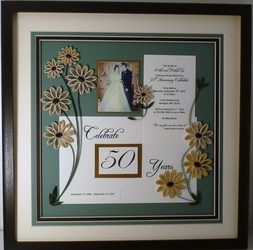 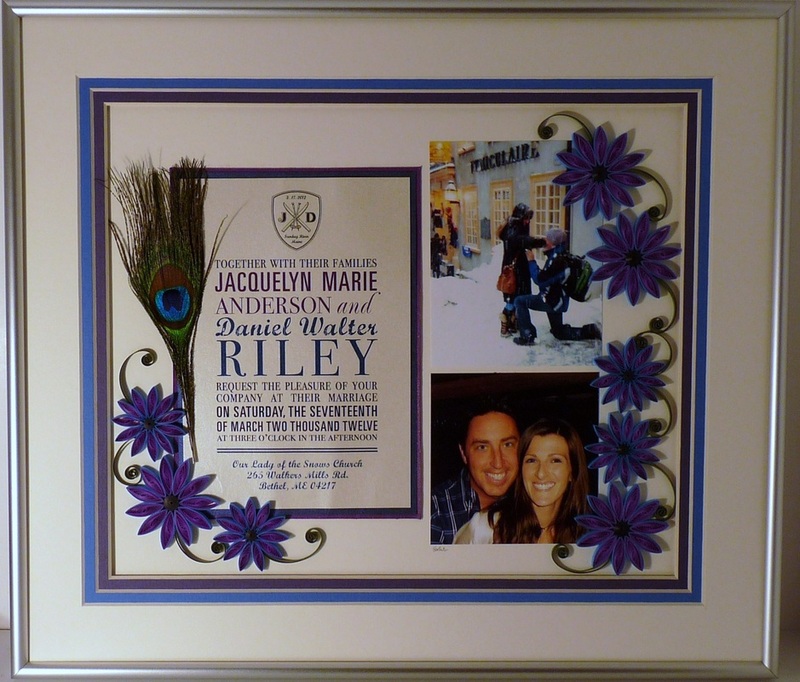 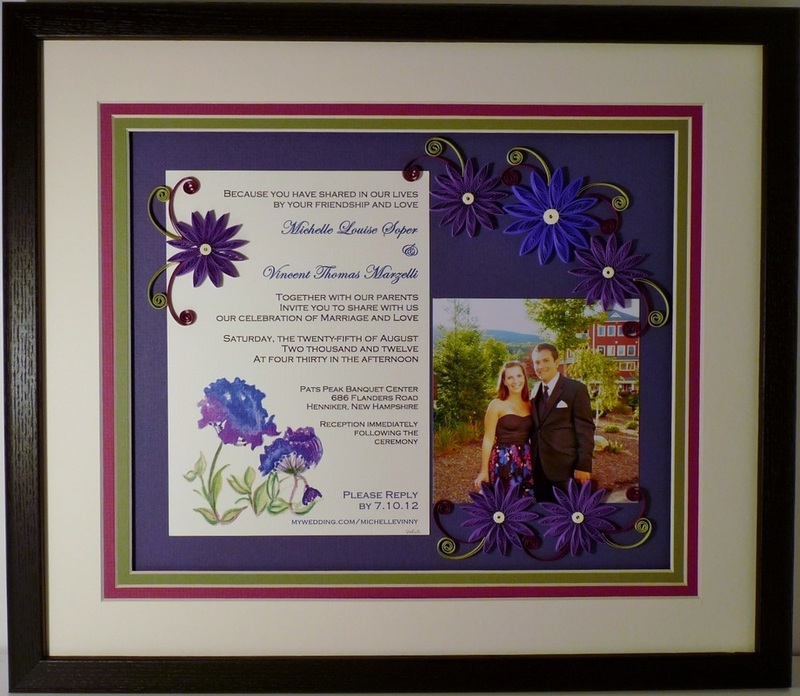 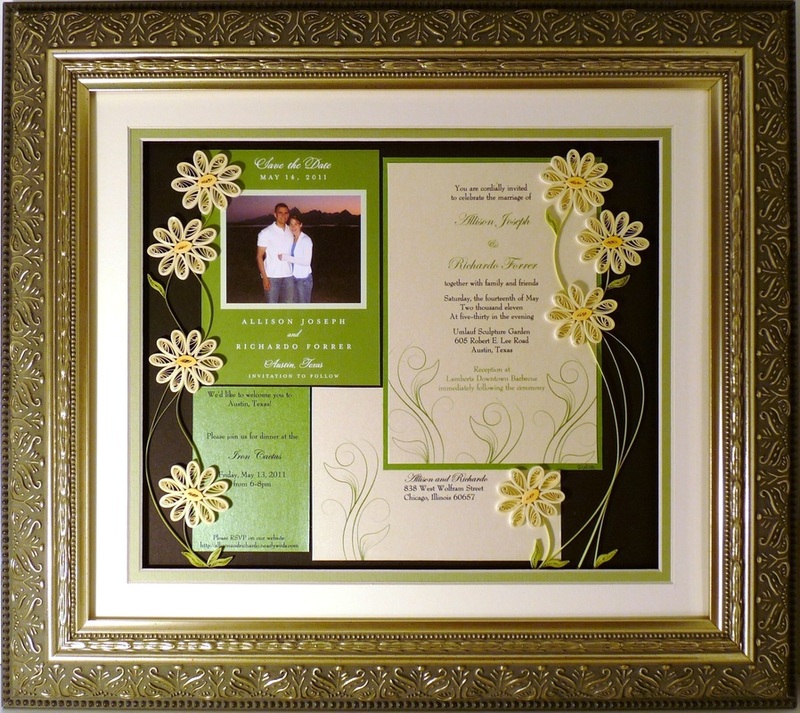 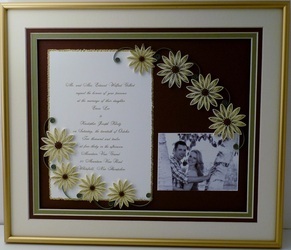 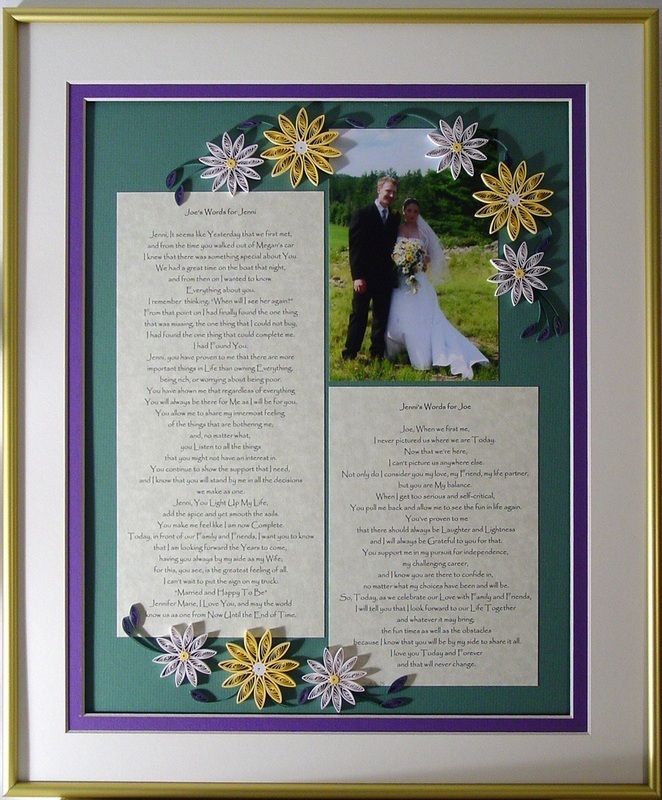 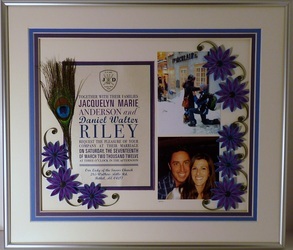 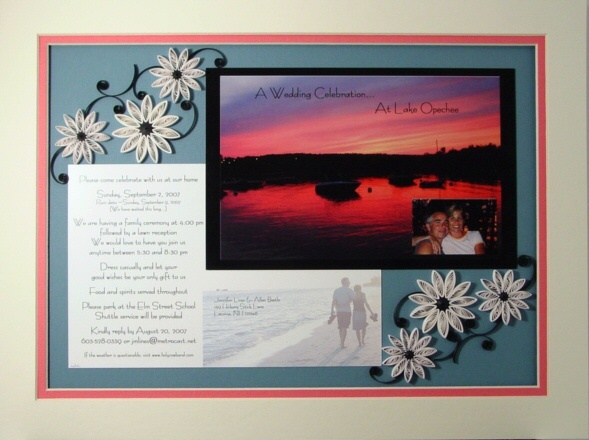 It comes with quilled flowers, your choice of color, embellishing the photo and invitation, and it is double matted and custom framed under glass in a satin gold frame. 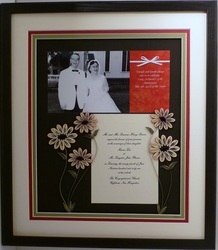 You may choose any color flowers and background and I will double mat with complementing mat colors. 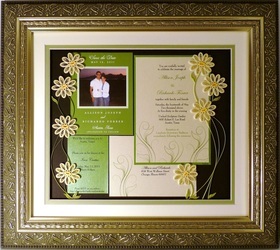 The satin gold frame may be replaced with a satin silver frame or a black, or light oak frame for an additional $25. 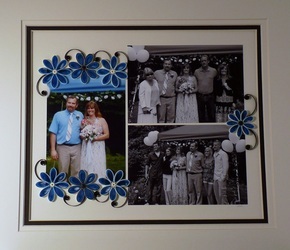 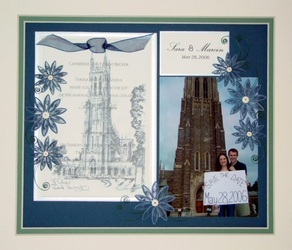 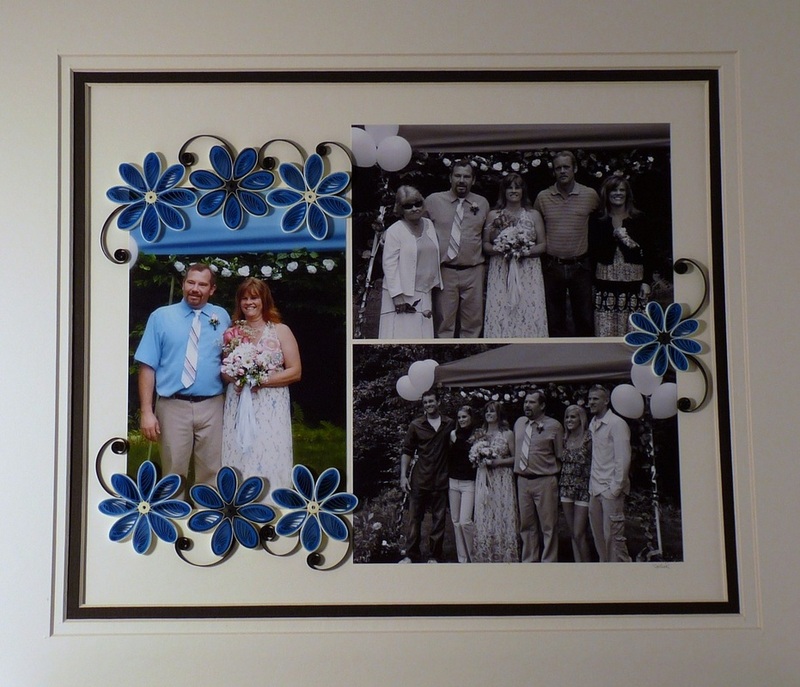 The first photo shows a wedding photo combined with the wedding vows, which I printed.